1. Protective requirements for Motorcycle and Motor Scooter riders. Motorcycles and Motor Scooter operators and passengers under the age of 18 are required to wear a helmet with a chin strap. Children under 7 years old are prohibited from riding on motorcycles or motor scooters. Motorcycles: Children under 7 years old are prohibited from riding on motorcycles or motor scooters. Mopeds: Passengers are not permitted on mopeds. Motorcycle operators are required to abide by the laws and rules of the road. Moped operators are required to abide by the laws and rules of the road. Motorcycle operators must be licensed similar to motor vehicle drivers. Enroll in a motorcycle safety course. Pass motorcycle / motor scooter road test. Motorcycle Safety Courses: These classes require you have a motorcycle permit prior to enrolling in the class. The class will prepare you for obtaining your motorcycle or motor scooter license. Learn-to-Ride Classes offered through the University of Hawaii – The class is an intensive course designed to prepare you for the streets. It consists of 10 hours of classroom work and 14 hours of hands-on training. No experience necessary and all equipment, including motorcycles, are supplied. Cost does apply, please contact for details. On Oahu training takes place at Leeward Community College in Pearl City (across the freeway from Sam’s Club). On Maui training takes place at both Maui Community College and at the War Memorial Stadium. On the Big Island training takes place at Hawaii Community College. For any information or questions on motorcycle safety training, please visit the Leeward Community College web site at: http://www.leeward.hawaii.edu/ocewd/ (then click the Motorcycle Training link from the left-hand side). Moped operators must carry a driver’s license or instructional permit. 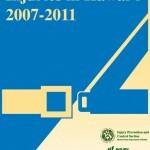 Data Summary: Please refer to the updated 2008-2012 summary on motor vehicle crashes and motorcyclist for more detail. 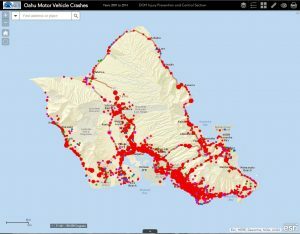 Data book Injuries In Hawaii, 2007-2011: Click the icon to the left to download the motorcycle and moped chapter of the data book. Data in this chapter includes information on fatal and non-fatal motorcycle and moped injuries. 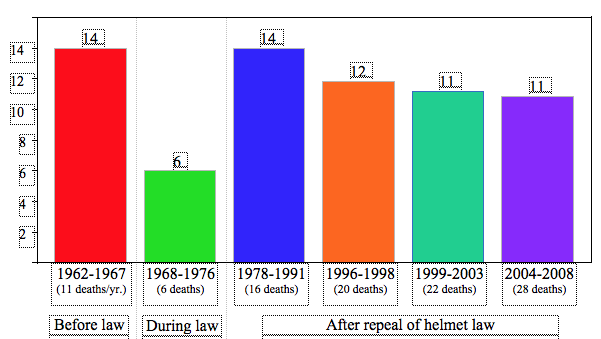 Hawaii’s fatality rates before, during, and after the repeal of mandatory helmet useMotorcyclist fatality rates (per 10,000 registered motorcycles) in Hawaii, by aggregated time periods, 1962-2008 FARS/DOT. Hawaii Injury Prevention Plan: Motorcycle Safety Recommendation 1) Increase helmet use among motorcycle and moped riders by supporting a universal moped and motorcycle helmet law. 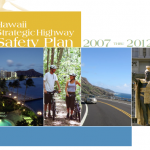 Hawaii Strategic Highway Safety Plan: The Hawaii Strategic Highway Safety Plan has 8 Emphasis Areas aimed at reducing traffic related fatalities and injuries. Motorcycle and Moped Safety is one of the 8 emphasis areas listing over 12 strategies addressing the issues around improving motorcycle and moped safety in Hawaii. 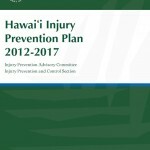 Injury Prevention Program works with Department of Transportation and other Traffic Safety Partners to develop strategies for the Hawaii Strategic Highway Safety Plan. For more details of the Motorcycle and Moped Safety Emphasis are click on the icon to the left or go to www.hawaiishsp.com.